The Bella Pelle team is guided by Carly Knowles, an experienced paramedical aesthetician with more than 15 years experience. With passion for this industry, Carly believes that ongoing education and multiple qualifications are important. As a skin care specialist advancing in ingredient technologies, Carly ensures her team have the latest training to keep their skills at the forefront of the industry. From customer service through to quality control, Carly always ensures that our clients and patients consistently receive superior service, quality treatments and products, and are always well looked after and cared for. Carly is also our head Make Up artist and has amassed a devoted following due to her knowledge of application techniques, insight into trends and pop culture. Carly is available at our YARRAWONGA clinic by appointment and is happy to discuss your treatment options confidentially on a no obligation basis. Donna is the first friendly face you will see when you come to Bella Pelle Body Clinic, Yarrawonga. Donna will always make that extra effort to ensure you are taken care of right from the first phone call. Her fantastic customer service skills will make sure you get the appointment time you require, and that you are well informed on all the information you need before your appointment. Donna will help us to monitor your progress, results and all the small things to make your experience with us memorable. 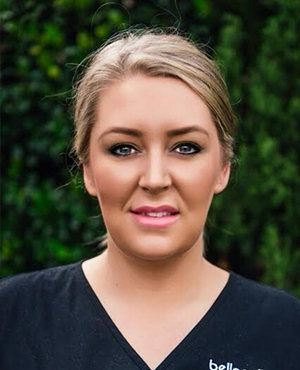 With her focus previously being in the beauty industry, Jamie has, in recent years advance her career with training and working in dermal and laser clinics. 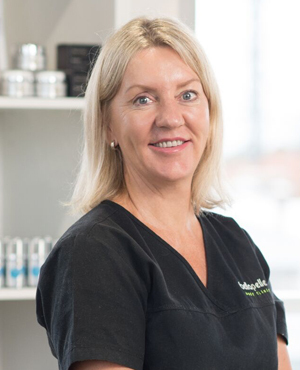 Jamie is passionate about result driven skin treatments and takes a customised approach to treating all of her clients skin and beauty needs. She is constantly seeking new learning opportunities within this industry as her passion drives her for big success. A bubbly, outgoing and confident therapist who strives to deliver high quality outcomes for her clientele. Jamie is available by appointment and is happy to discuss your treatment options confidentially on a no obligation basis. Monique completed her Diploma in Beauty Therapy in 2014 and has progressed exceptionally in the industry since starting at Bella Pelle. Monique’s passion is providing our clients with high performance and results driven skin treatments. Her extensive knowledge with anatomy and physiology enable her to consult, prescribe and treat her client’s skin to achieve the best possible results. Monique is passionate about giving her clients the best quality treatments and helping them to relax and take time out of their day to spoil themselves. Monique is also passionate about educating her clients on their skin and beauty needs, and assisting them to get the home-care routine that is perfect for them. Monique loves all aspects of beauty therapy and is further pursuing her training and education in dermal therapies. Monique is excellent with skin work, particularly laser, advanced skin treatments, Peels, Microdermabrasion and Dermal Needling, and is also popular with body treatments including massage and manicure’s and pedicure’s. Monique has a down-to-earth charisma and offers her clients the full treatment experience with amazing results. Monique is available by appointment and is happy to discuss your treatment options confidentially on a no obligation basis. 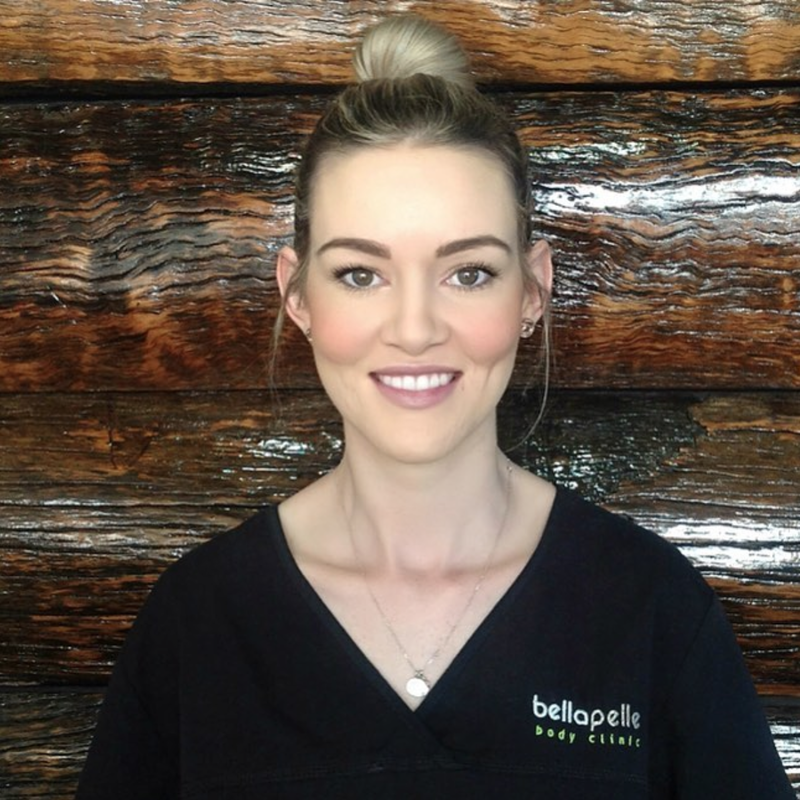 Steph started working with Bella Pelle Body Clinic, YARRAWONGA, in 2017, bringing with her 4 years experience in a salon environment. Already a master at traditional beauty therapy treatments, Steph's passion for the industry has also seen her skills advance in leaps and bounds, since joining the Bella Pelle team. A Facial expert, Steph has gained herself a large following for her skill to perfectly consult and treat any skin conditions. Steph will devise a treatment plan to help achieve the best results and overall improvement for her clients skin & beauty concerns, and she enjoy's getting to know her clients and build rapport. Steph has a calm, nurturing nature, and will always take that extra step for you. She is constantly seeking new learning opportunities within this industry as her passion drives her for big success. Steph is available by appointment and is happy to discuss your treatment options confidentially on a no obligation basis. Ebony, a fully qualified beauty therapist, brings with her a highly motivated, enthusiastic attitude. Ebony has always had a love for all things beauty and is passionate about providing the perfect service to clients, whilst building rapport and great relationships. A specialist in all areas of beauty treatments including waxing, nails, eye treatments, make-up, facials & brow treatments. She is regarded as “A lash perfectionist” and has shown her lash extension talents already transforming some of our clients faces using her eye artistry talents!! Ebony is available by appointment and is happy to discuss your treatment options confidentially on a no obligation basis. Chelsea joined the Bella Pelle team in 2018 and has 5 years experience working in the beauty industry, where she found her love for helping people. Chelsea has always loved the Dermal Therapy aspect of the industry, and is eager to explore this role whilst working here at Bella Pelle Body Clinic. Canadian born, residing in Australia with her partner, Chelsea is an outgoing, energetic, passionate therapist. Chelsea is available by appointment and is happy to discuss your treatment options confidentially on a no obligation basis. Laura, fairly new to the industry comes to us from Ariah Park in NSW, and now continues her passion for the beauty industry with us here at Bella Pelle Yarrawonga. You are invited to visit Laura at Bella Pelle to relax and enjoy her friendly, gentle and nurturing personality. 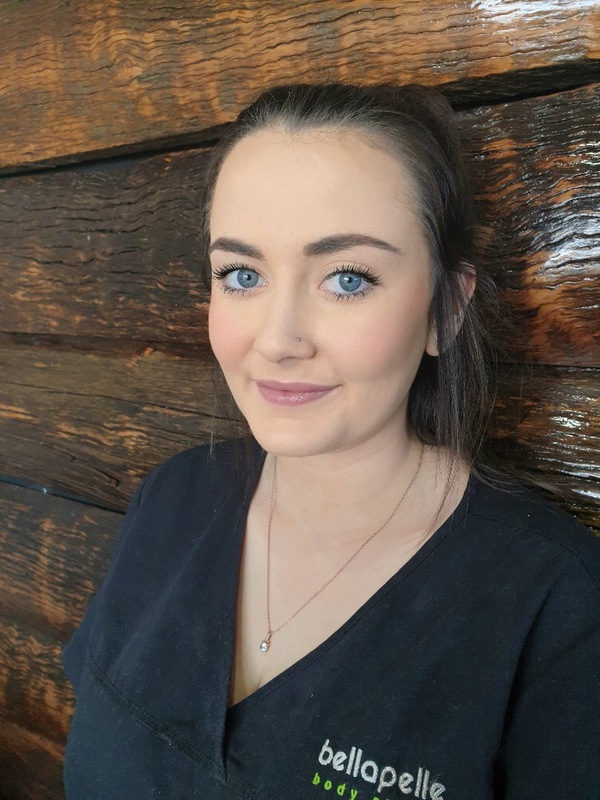 Laura specialises in traditional beauty therapy, as well as body treatments, massage, tanning, and facials and is currently in training to work her way up to more advanced services. Laura is available by appointment and is happy to discuss your treatment options confidentially on a no obligation basis.